The Accsoon CineEye is a new WiFi HDMI transmitter, able to send video signal at up to 1080p 60fps to a maximum distance of 100m. During NAB, we have talked about this new product with Neil Zhang from Accsoon. Accsoon is a Chinese startup company producing camera accessories. In their portfolio, they already have a one-handed gimbal A1-PRO with a CineEye wireless image transmission technology. 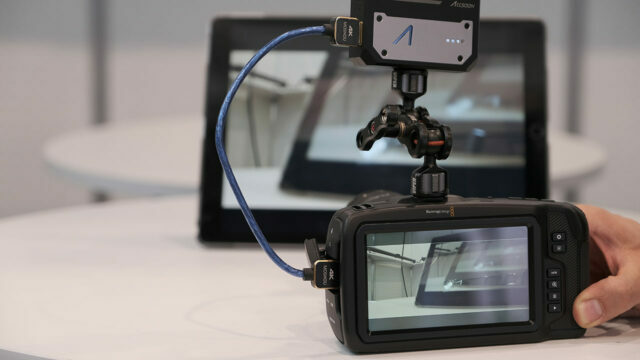 Now at NAB 2019, they are presenting a standalone HDMI image transmitter called CineEye. The CineEye transmitter is capable of sending a video signal at up to full HD 1080p resolution and 60fps frame rate. 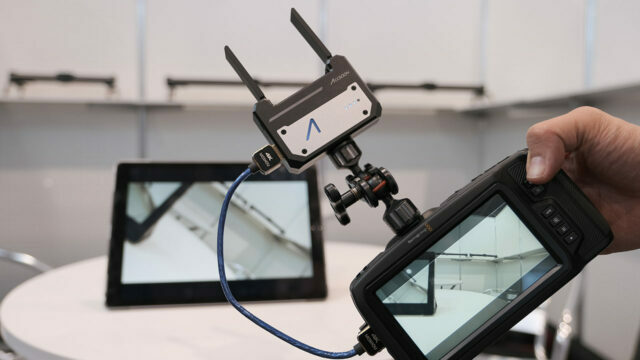 The transmitter features one HDMI-in port and uses 5G WiFi signal to send video wirelessly to a tablet or phone with both, Android or iOS system. When it comes to the range of the transmitter, its signal can go for as far as 100m (328ft) in unobstructed environment without interference. Inside a building and at places with strong interference that will of course be less. CineEye has a very low delay given it is a WiFi transmission. Accsoon claims the latency is 60ms (for iOS). The system supports bandwidth up to 300MB/s and one transmitter can send a signal to up to four devices at the same time, regardless of the OS – Android or iOS. The CineEye module features compact aluminum housing with two foldable antennas. Once folded, it’s only the size of a credit card (90x63x21mm). The company also worked on optimizing heat generation. They claim that even after hours of transmission, the CineEye transmitter still won’t exceed the human body temperature. There is a built-in battery within the transmitter, which currently lasts for around three hours of runtime. The company wants to improve that to 4 hours, when the final version of the product will be released. The module charges through a USB Type-C port (5V 1.5A power input) and it also works when it’s being charged, so it can serve well on long shoots too. 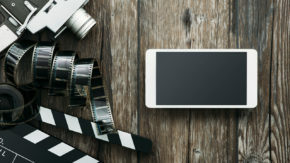 To receive the video signal from the CineEye transmitter, Accsoon has developed an app, which can be downloaded for free on Google Play (for Android) and in the App store (for iOS). The Accsoon app has a variety of useful functions for image monitoring. 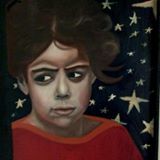 There is focus peaking (available in three colors – green, blue, and white), false color, histogram, zebra, and markers (different aspect ratios, safe zones, grid, center marker), monochrome (red, blue, or green only). Users can also select various 3D LUTs included in the app, plus there is the possibility to add custom LUTs (via cube files). The price for the transmitter is $219 USD. The company is aiming to start producing the CineEye transmitter at the end of April. At the moment, they don’t have a distributor in the US, but that can change very soon. What do you think of the Accsoon CineEye HDMI transmitter? Would you add a device like this to your kit? Let us know in the comments underneath the article. If it were available today, I‘d buy one right away! They will crush it with this device. (In a great way) It’s what indy shooters in the industry have needed for a very long time. And that price!!!!! AWESOME. Complete no brainer. Stop talking and take my money. Does it take 4k signal in? 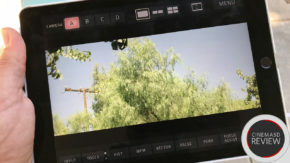 no, they made a unit that can accept 4k input back at BIRTV 2018 August and abandoned that design because that feature will make the unit much bigger and much more power hungry.